Whisk the egg yolks, sugar and corn flour together with 80ml (1/3 cup) of the milk. In a small saucepan, bring the rest of the milk and vanilla to the boil and take off the heat. In a steady stream pour the warm milk mixture into the egg mixture, whisking until combined. Return the mixture to a low heat and stir for 2-3 minutes or until thick. Stir in the orange zest, spices and chopped chocolate. Pour the custard onto a plate, cover with cling wrap and refrigerate until completely cool. Whisk the cooled custard until smooth, adding just enough hot water so the custard is smooth and creamy. Place in a piping bag fitted with a plain nozzle. 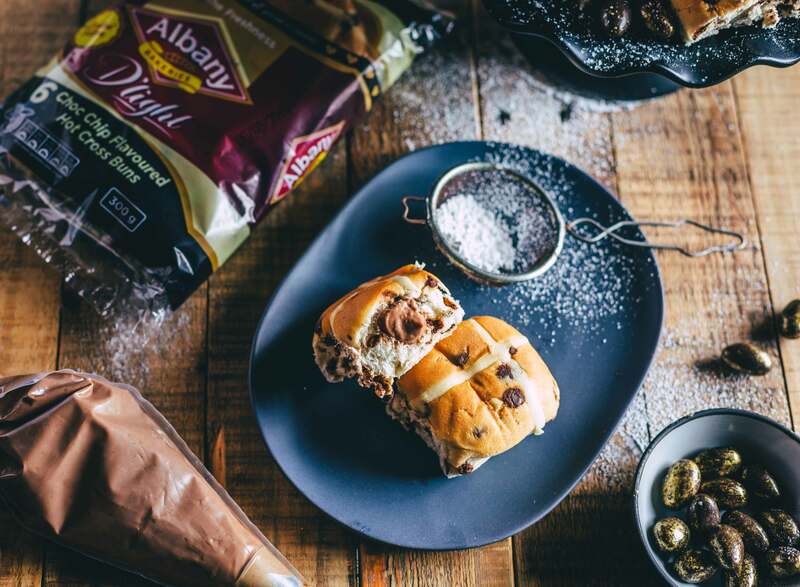 Using a small paring knife, make a hole in the side of each Albany D’Light Hot Cross Bun. 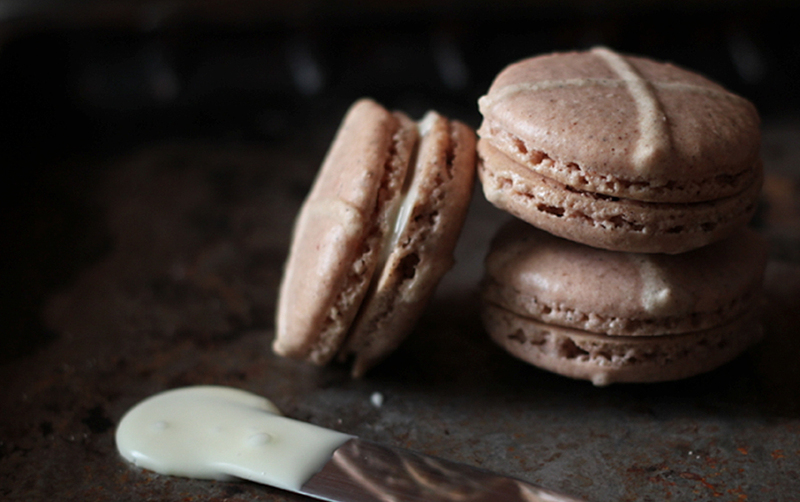 Insert the piping nozzle into the hole, then fill with custard until the bun feels full. 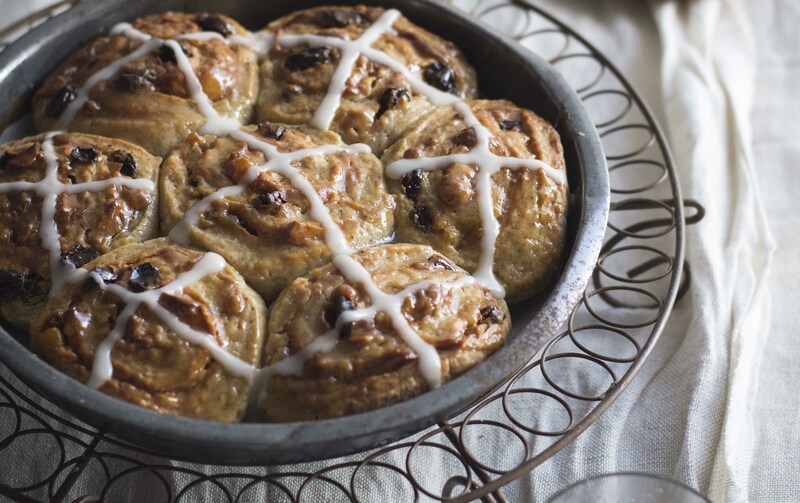 Repeat with the remaining buns. 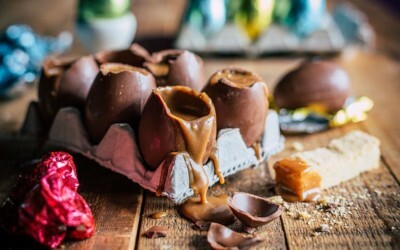 Prepare the caramel by placing the sugar and water in a saucepan over low heat. Stir until the sugar has dissolved, then bring to the boil and simmer until golden brown. Remove from the heat and allow to cool slightly. 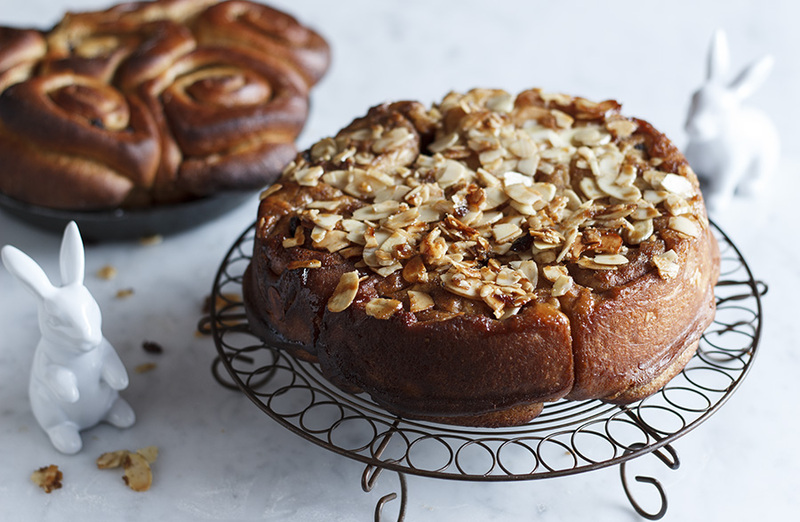 Working with 1 bun at a time, dip the side into the caramel and glue it to a serving dish or cake stand. 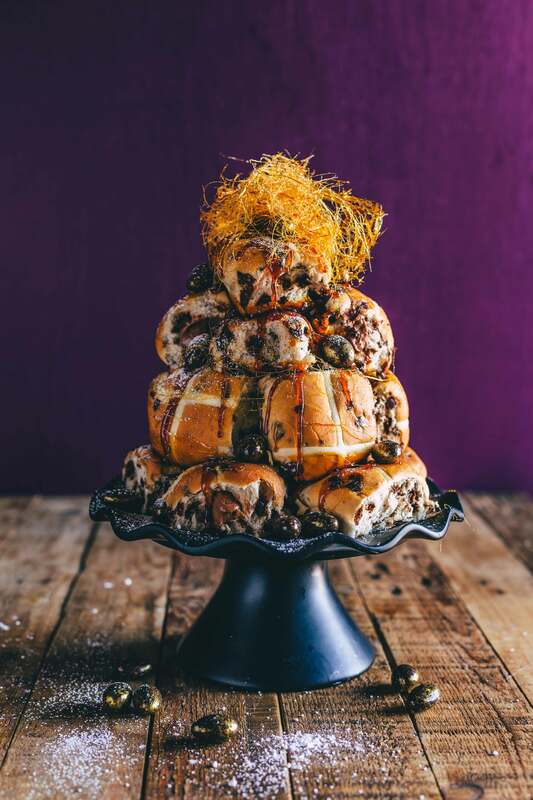 Continue dipping and glueing to form a tower of hot cross buns, finishing with 1 bun at the top. 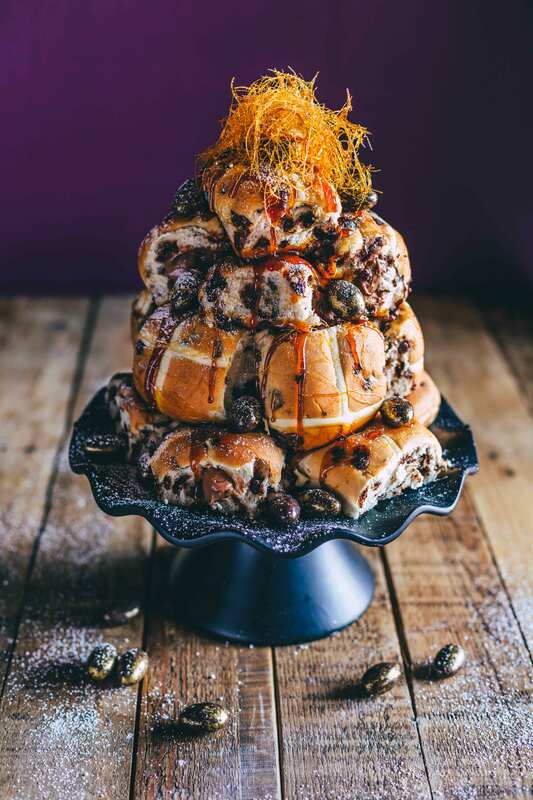 Decorate with spun sugar and Easter eggs, if desired. TIP Serve immediately as the caramel doesn’t last long.